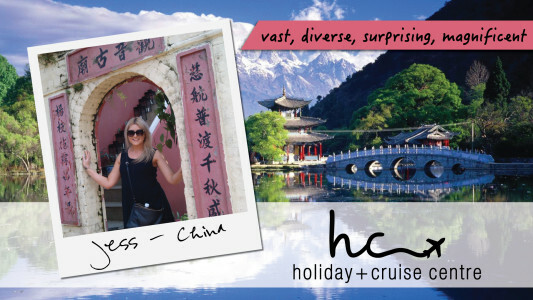 Jess started at Holiday + Cruise Centre in 2013. She has had a passion for travel for as long as she can remember and absolutely loves her job! Recently she has travelled to the USA, Japan, Vietnam, Bali, Thailand, Fiji and China as well as cruised with P&O and Carnival. Jess’s favourite cities she has visited are New York & Tokyo – both crazy busy with so much to see and do. For a more relaxing holiday option Jess recommends Fiji. For those who are looking for a holiday destination that offers a party atmosphere and shopping you can’t go past Bali. Next destination on Jess’s travel wish list is Sri Lanka.